For Solange, Houston is both the subject and the canvas on her new album which is a cohesive daring and satisfying jazz funk sequel to a classic that is meant to be enjoyed as whole from start to finish. Solange has been building and building her singularly great career for years now, being inspired by her sister Beyonce to end her 8 year hiatus and release her third studio album A Seat at the Table in late 2016. Yet Peak Solange seems so far away only because the next album or thing that she does is sure to top whatever she did before it – a common theme with the Knowles sisters. In her 2016 classic, she took her sound in an awe-inspiring new direction where it had much more soul and power than anything Solange had done before (she even won her first and only Grammy for that album). It boldly and proudly celebrated black culture and black music. And with her new album, When I Get Home, which she dropped upon the world at midnight on Friday, March 1 – just hours after officially announcing it (surprise album drops are a Knowles’ thing) and gloriously ending Black History Month with a BANG – Solange arguably surpassed any and all expectations. It is the perfect followup to a classic album like A Seat At the Table. Solange’s music has always been experimental and psychedelic, mirroring that of her artistic performances, and I would argue that her most recent LP is her most experimental and psychedelic yet. The album goes down easy but it breaks much more ground and explores much riskier territory than traditional and current pop music. 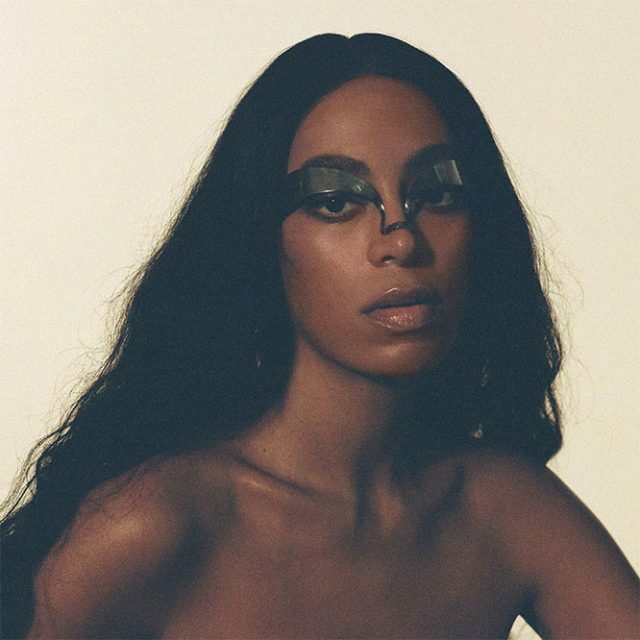 Solange cowrote and coproduced every song on her new album, and although a group of (mostly male) guests and collaborators join her vision – including Gucci Mane, Pharrell Williams, Playboi Carti, The-Dream, John Key, Devonte Hynes, Metro Boomin, Sampha and Tyler, the Creator – there’s never any question about who’s controlling this wide-ranging and ever-evolving show. Solange has created an album that takes awhile to get to know (which is not an issue here) and it reveals its charms gradually and promises to be the kind of work that grows more coherent and wonderfully over time and repeated listens. It’s the kind of album that resists hot takes: there are no bangers, insta-hit singles or even centerpiece songs that anchored her previous works. The songs on When I Get Home is like a single piece: the songs are almost like segments of a musical mosaic that make more sense as part of the whole than individually and with a total of 19 tracks, coming in at 39 minutes, it feels like a longer journey than it actually is. Just on a pure sound level, the album is a triumph. On top of the plenty of jazz and hip hop influences and the collage-like sequence, the album dabbles heavily in electronic music and also touches on reggae sounds (like the track “Binz”), funk (the track “Way to the Show”) and more. It is also a triumph in terms of message and purpose too – she sometimes celebrates black culture, like on album highlight “Almeda” – while other times her lyrics are as psychedelic as the music, brief and dizzying use of repetition and painting a picture rather than telling a story (i.e. she changes the inflection in her voice so many times on opener “Things I Imagined” that you might not even realize at first that she’s singing the same line 16 times in a row). And at other times, it just sounds like Solange is having fun (like in “Sound of Rain”). The album is not just innovative music, but an innovation of the album as an art form. It makes sense that Solange surprise dropped the album all at once with no advance single, because it’s the kind of thing you really need to hear from start to finish to fully experience it’s greatness. It’s obviously not the first album to do this and it’s not the first anti-single album by a pop singer, but it feels done in a way that we haven’t really seen before. Its refusal to be categorized and its refusal to do the expected is a big part of why it feels like such an instant success. When I Get Home is a challenging and satisfying follow-up to the classic A Seat at the Table, one that will probably baffle some fans while it intrigues and engages even more. The contributors, many who hail from Texas, the Knowles’ home state, aid in assembling a well produced and cohesive album that rarely goes where you expect it too. As an ode to her home state, Solange herself has crafted a beautiful masterpiece that plays well after its wonderful predecessor – daring and satisfying that she always puts across a clear sense of place.